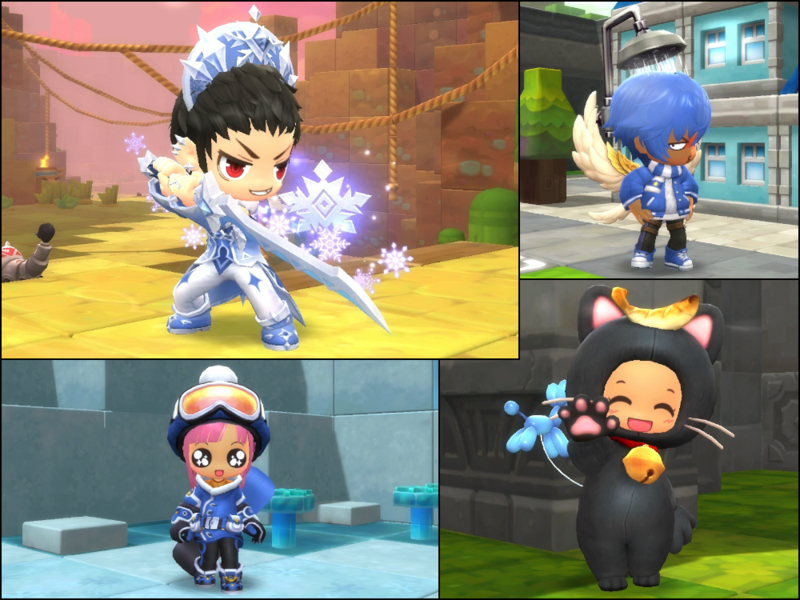 We've got a new Style Crate full of Alpine Gear, Black Cat costumes and an update to the Coin Shop featuring the Snow Tale set! You can check out the full list of items on the Style Crate Contents page, including special weapon skins, badges and more! See the full list of items on the Style Crate Contents page! The fighting can only go on for so long, and even the mighty men and women of the Maple Alliance need some Shore Leave now and then! Each of the Maple Alliance's factions have their own special package, containing a fishing pole, musical instrument and damage skin, for you to enjoy the downtime and get ready to return to the fight! A new year, a new Style Crate, and a new bundle is here with a special emote for you to claim! Get 10 Style Crates and the special Piggy Dreams emote for free! It's time for the Thieves, Knights and Archers to get their improved Weapon UGC Templates! These four templates have curved, complex surfaces and plenty of room for you to show your creative skill! It's a new year, and Paulie and Rosetta have new hairstyles for you! 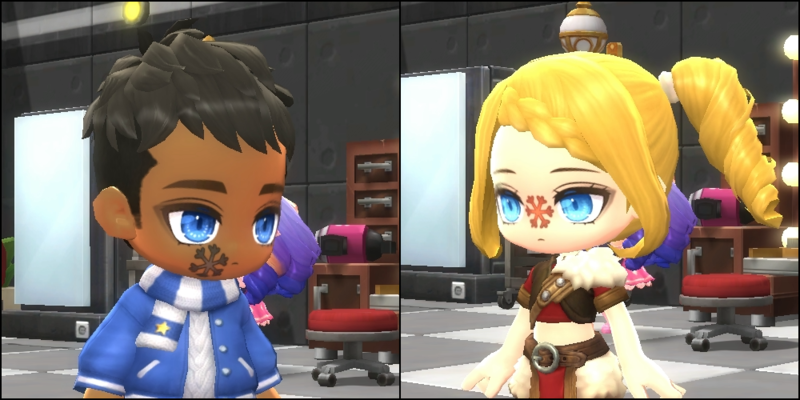 Men can get the Wild Shaggy Ponytail and Wolfish Sideburn Cut, women can get the Elegant Tiara Hair and Long Set Twin Tails styles, and both genders can select the Soul Binder's Braided Highlights hairstyle from Rosetta! Been itching to redecorate your house, or snag an exclusive plot of land? For the rest of January, we're unleashing a massive event to make your homeowner dreams come true! You can now snag plots of land for 90% off, and all furnishings in the Housing menu are available for 50% off! Winter is here in full force, and we have a new Snowflake Furnishing Package with seventeen ice-cold decorations to make your home as icy as possible! Many package contents can also be purchased individually from the Furnishing menu, all at 50% off thanks to the Housing Boom Event! The frozen months of the year aren't devoid of fun, of course. 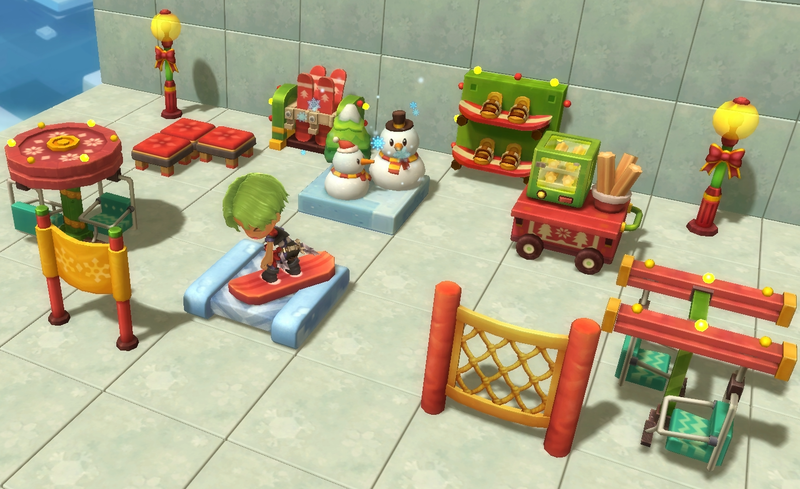 Set up your own resort with the Romantic Ski Resort Furnishing Package, full of romantic fun for the slopes! Finally, Dixon's developed a new, perfectly zen facial style for any jaded urbanite, and Ren's created a lovely snowflate-style face paint for you to wear! Visit Doctor Dixon at Tria Plastic Surgery on Beauty Street to purchase the new face styles! 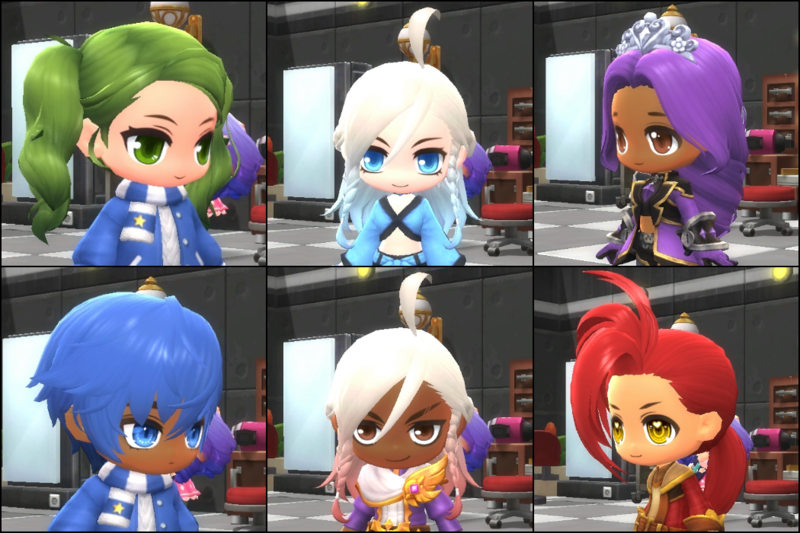 Visit Ren at Rosetta Beauty Salon on Beauty Street to purchase the new cosmetic option!